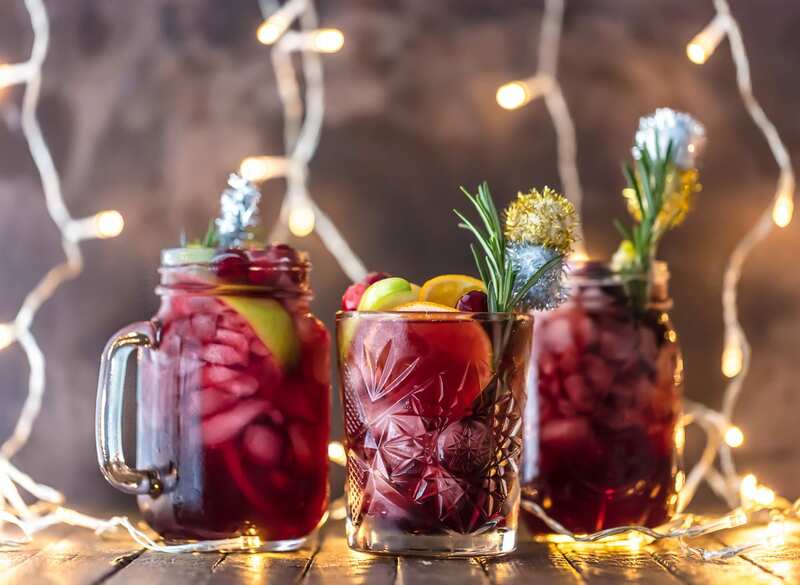 Holiday Sangria is the perfect Christmas cocktail! It’s made with red wine, vodka, sparkling apple cider, and several juices. Better yet, this Christmas Sangria is gluten free. 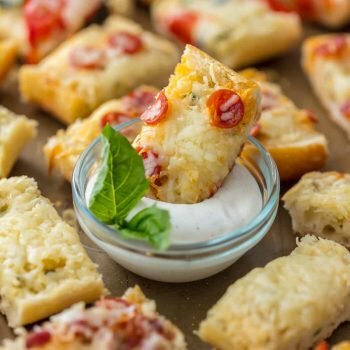 You’ll be the star of any holiday party with this recipe. Cheers! Holiday Sangria is the ultimate easy and delicious cocktail to serve this season. 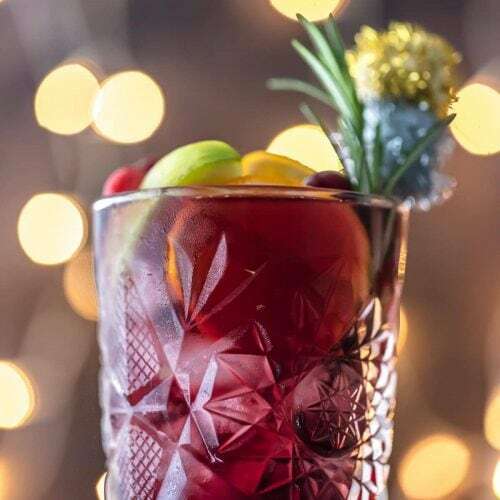 This Christmas Sangria recipe is also gluten free! It’s beginning to look a lot like CHRISTMAS! That means all the holiday food, fun, and drinks! I love a fun cocktail, and this EASY HOLIDAY SANGRIA is my new favorite! You guys know I love making new sangria recipes, and I never get tired of creating new versions of this favorite drink. I think Christmas Sangria recipe just might be my favorite. This Holiday Sangria recipe is simple, full of flavor, and it has just the right amount of bubbles. It tastes just like Christmas, with notes of cinnamon and rosemary. 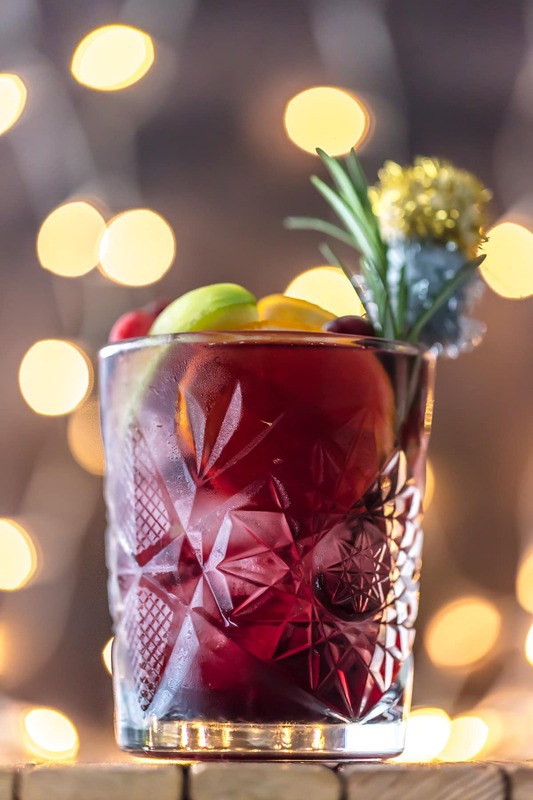 It’s made with red wine, sparkling apple cider, gluten free vodka, spiced apple cider, and cranberry juice to create the most perfect blend of flavors. It has just the right amount of spice from the apple cider to give it a warm, festive feeling. Serve this Holiday Sangria on Christmas, New Year’s, or any time during the holiday season. It’s the perfect cocktail that everyone is sure to love! Holiday Sangria is the best Christmas cocktail. 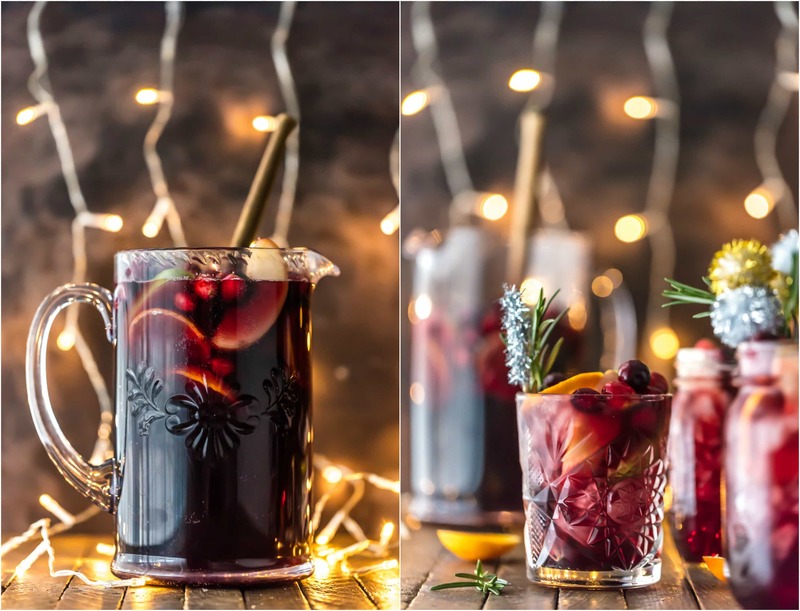 Serve this Christmas Sangria all season long! 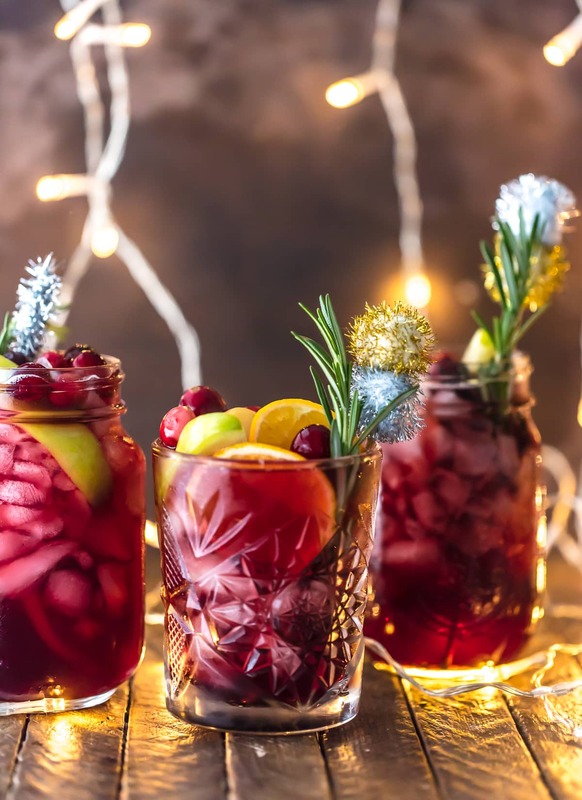 What makes this Easy Holiday Sangria even more perfect for holiday parties is that it just so happens to be GLUTEN FREE! 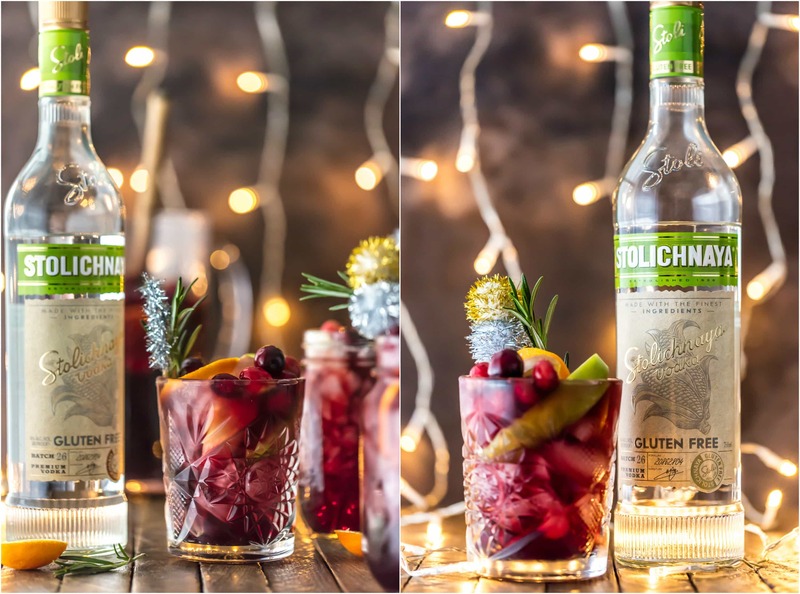 Stoli has recently launched their new Stoli Gluten Free Vodka and it’s just in time for the holidays! So this year, everyone can enjoy your cute and delicious themed cocktails, even those with gluten allergies. It truly is a holiday miracle. 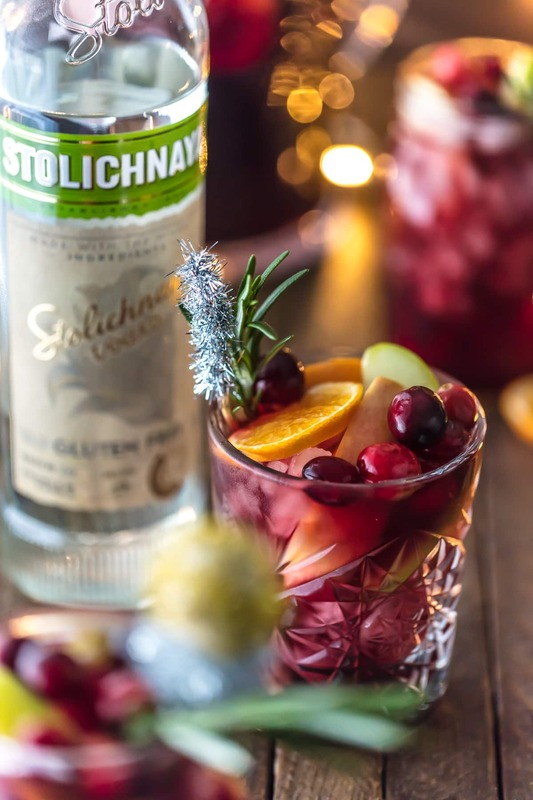 Stoli Gluten Free Vodka was the perfect mixer for this Easy Christmas Sangria because it’s such a clean and crisp vodka, and because it’s GLUTEN FREE! I’m just so excited about that. You better just make a double batch, because this stuff is going to go FAST! 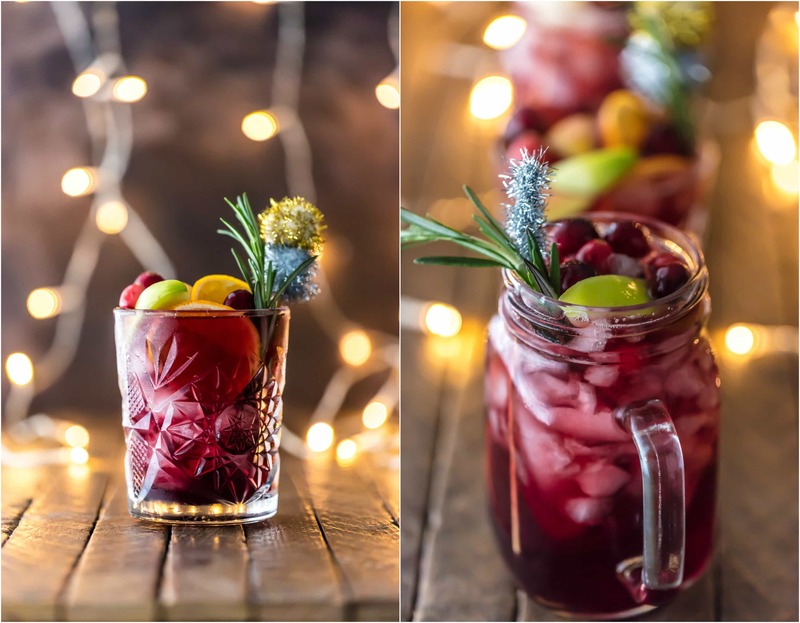 This Christmas Sangria recipe couldn’t be any easier! All you have to do is mix your ingredients in a pitcher, add in the fruit to garnish, pour over ice and serve. When a cocktail can look this pretty and taste this good with so little work, you know I’m happy. What’s in this Holiday Sangria recipe? These flavors mix so beautifully to make the best sangria for Christmas and beyond! I love Sangria, so of course I had to create a version that invokes the spirit of Christmas! 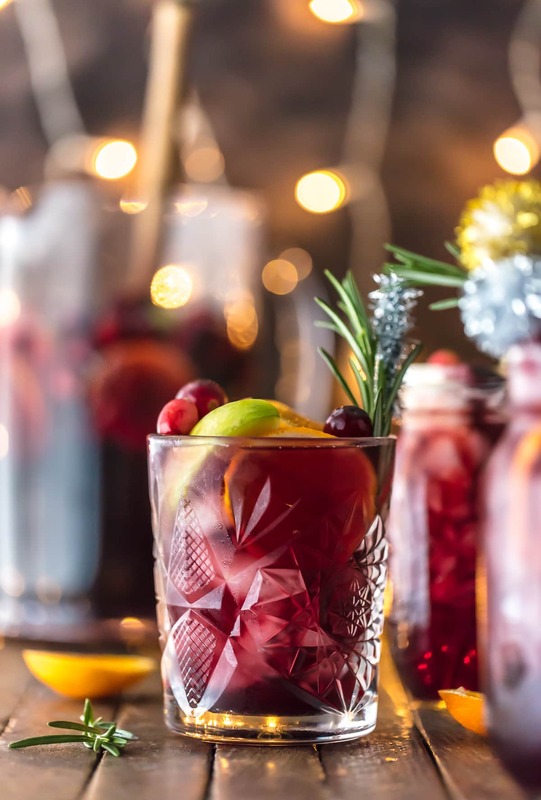 Every holiday needs a good cocktail to serve to guests, and this Christmas Sangria is that perfect drink. I like to try out new Christmas cocktails every year to keep things interesting, and this is the star of the season. I think a fun batch cocktail like this Christmas sangria is just what your holiday table needs. A little color, a little flavor, and a little fun. And if politics or anything you don’t want to talk about comes up, you can just go grab another glass. It’s that simple. I hope your family loves this Gluten Free Easy Holiday Sangria as much as I know mine will this holiday season. Watch the video and Dee the recipe card for details on How to Make Holiday Sangria. Enjoy! HOLIDAY SANGRIA is the perfect Christmas cocktail! It's made with red wine, vodka, sparkling apple cider, and several juices. Better yet, this Christmas Sangria is gluten free. 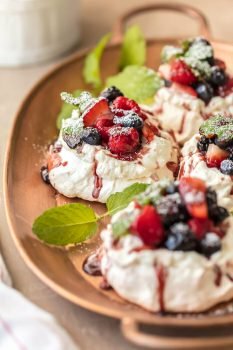 You'll be the star of any holiday party with this recipe. Cheers! Stir together all of the ingredients in a large pitcher. Garnish the pitcher with the fruit slices. Pour over ice and add a sprig rosemary to each glass. Sangria is a must around the holidays! This sounds delicious! I’m allergic to Apples, what can I use to replace the Apple Cider? I’m not sure but I think it would still be tasty with the cider left out. You could use a different type of sparkling cider as well. Enjoy! I would say up to two days in the fridge would be fine. Wait to add the fresh fruit and just be sure to stir once in a while and before serving. Enjoy! Where did you get that glassware? It’s gorgeous. Thank you! I’m pretty sure I got it from Crate and Barrel. Have a fabulous Thanksgiving! I made this for Christmas eve. It is one of the best red sangrias that I have had! Loved the spiced flavor from the spiced apple cider! Couldn’t find the gluten free vodka, which would have been good for some family members.